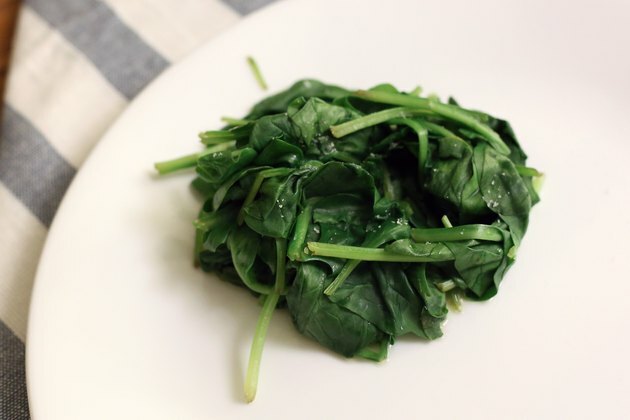 Like other dark green, leafy vegetables, spinach is a nutritional powerhouse. Because all methods of cooking destroy some nutritional value, the best way to maximize nutrient intake is to eat fresh spinach raw. When that's not suitable, preserve most of the nutritional value by minimizing the water used to cook spinach and the cooking time. 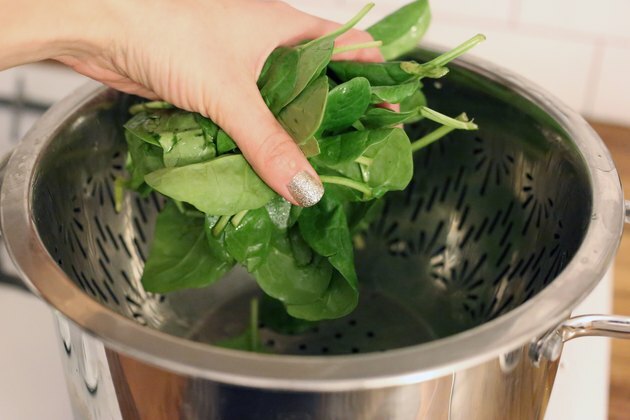 The best way to retain all of the antioxidants, vitamins and minerals when cooking fresh spinach is to steam it on the stove top. 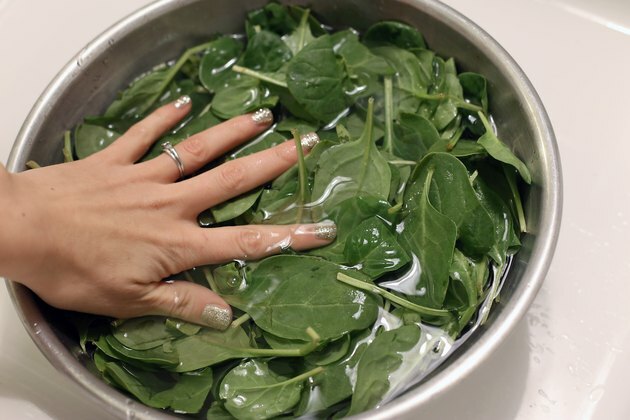 Fill a large bowl with cold water and submerse the spinach in it to wash the leaves. Gently move the spinach around in the water, then drain it. Repeat until no dirt or debris accumulate in the water. Bring a few inches of water to a boil in a saucepan over medium-high heat. 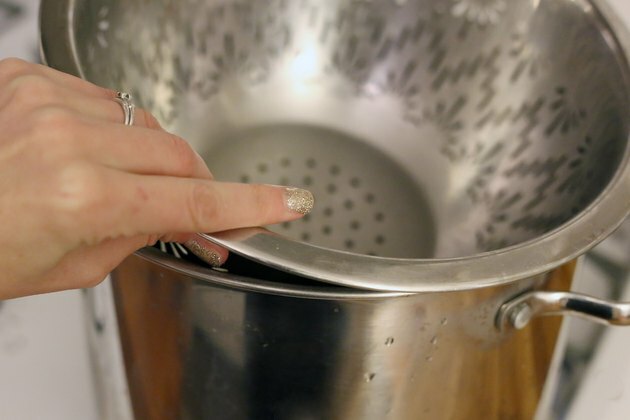 Place a steaming basket in the pot and make sure it isn't making contact with the water; if it is, pour out water as necessary. Reduce the heat to medium or medium-low as needed to maintain a simmer. 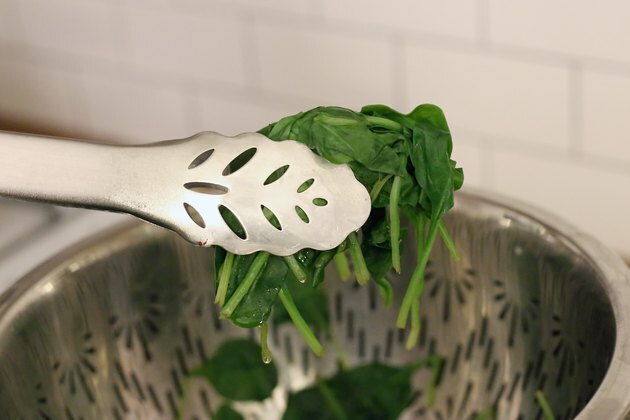 Place the fresh spinach in the steaming insert. Cover the saucepan. Steam the spinach for about 2 minutes, just until wilted. Transfer it to a plate or bowl. Season the spinach to taste. 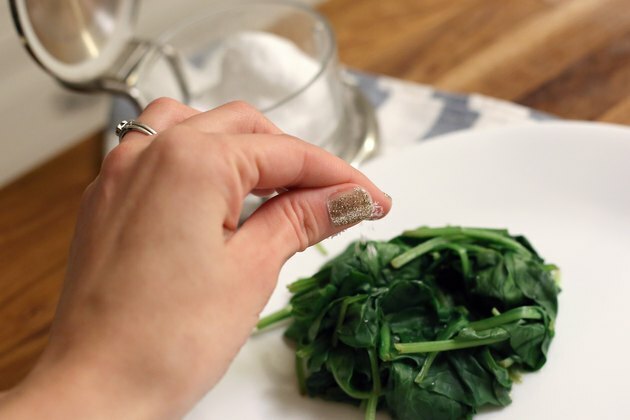 Sprinkle on a little salt and pepper to enhance the flavor. Garlic, basil, turmeric or other fresh herbs and spices provide extra flavor and health benefits. Add a bit of oil for flavor, moisture and healthy unsaturated fats, but use it sparingly as it increases the calories considerably. Some fresh lemon juice and zest make nice additions, too.